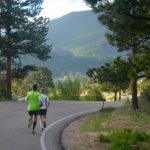 The Estes Park Marathon is one of America’s most scenic marathon courses! 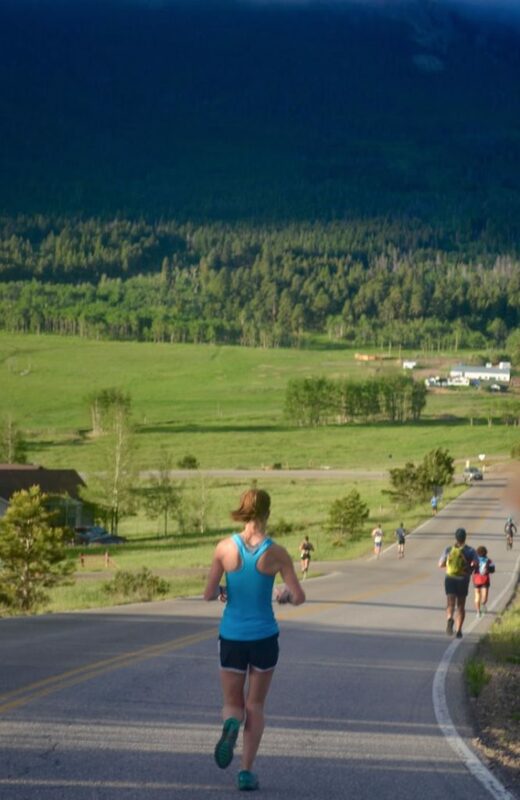 Runners enjoy our new road course that is surrounded by glorious 360 degree views of Rocky Mountain National Park. 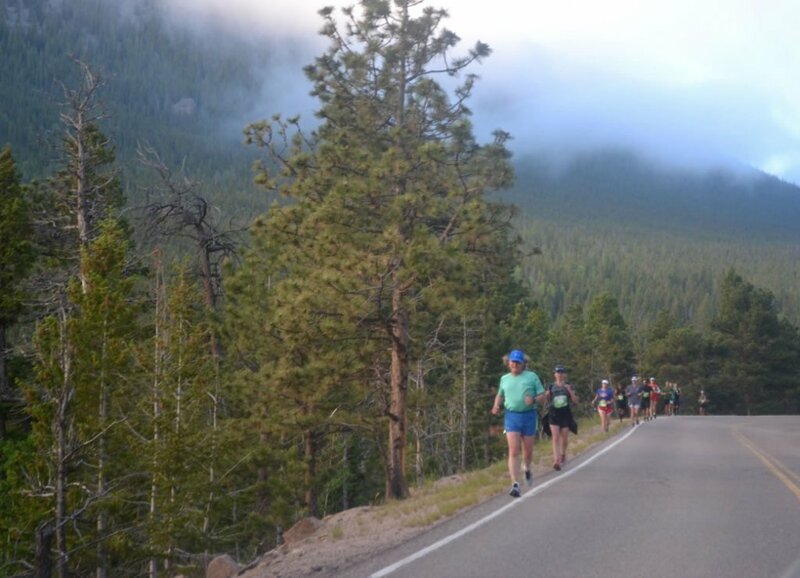 Starting with an inspiring 1500 ft descent, within the first 6.5 miles, runners will find their rhythm and strong pace for an exceptional marathon race. As with all great journeys, the mountainous beauty will encourage you to overcome the physical and psychological challenges of the climbs and feel the thrill of several scenic downhills. 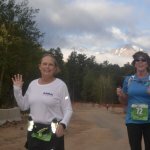 Share the celebration and joy of running with us! 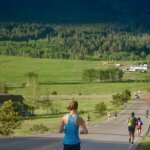 Runner’s World magazine recommends this destination race, for a reason! Start location: The Dao House (formerly named Aspen Lodge), 6120 CO- Hwy 7. Start line is located at the lower parking lot, same location as the Half Marathon. 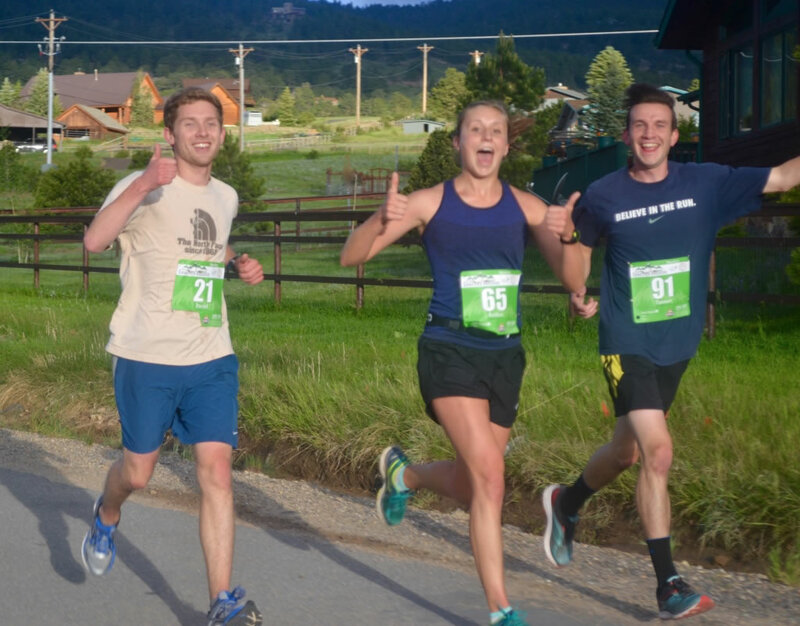 Transportation to Start Line: All Marathon participants must take the provided Estes Park Trolley, Rapid Transit Busses & Rocky Mountain Transit busses to the Dao House start line area. 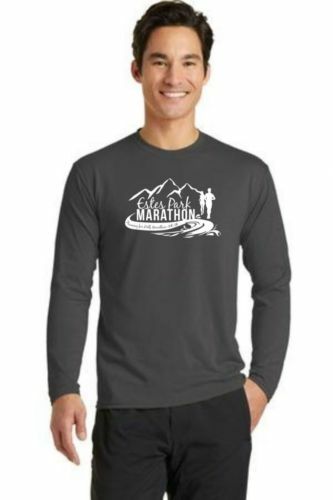 Estes Park Marathon participants will be picked-up from the Estes Park High School parking lot beginning at 4:30AM. The last Trolley leaves at 5:00AM for Marathon. There is NO transportation provided to return to start area post race. Runners are allowed to be dropped off by private vehicles. Start Support: The Dao House will provide water, coffee, juice and restrooms while runners wait for the start. Clothes drop bags will be provided at start line for retrieval at finish line. Porta Potties provided near start line. 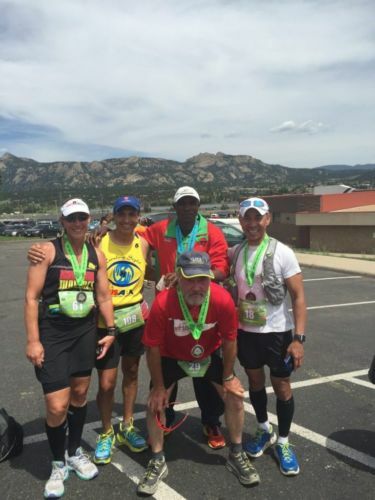 Aid Stations & Water Stations: Provided approximately every 2 miles. Beginning at MM4, Aid stations offer: VFuel Endurance Gels, Honey Stinger waffles & chews, Gatorade. Water Stations offer: Water & Gatorade. Public Restrooms & PP: PP located at all Aid Stations. Public Restrooms are located along the Lake Estes Trail. 7 hour course cut off time. The course will officially close at 1:00PM. All participants must forfeit bib at 1:00PM, if they have not finished. There are NO exceptions. 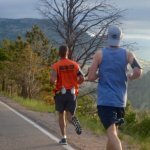 NO Registration ALLOWED on race day. 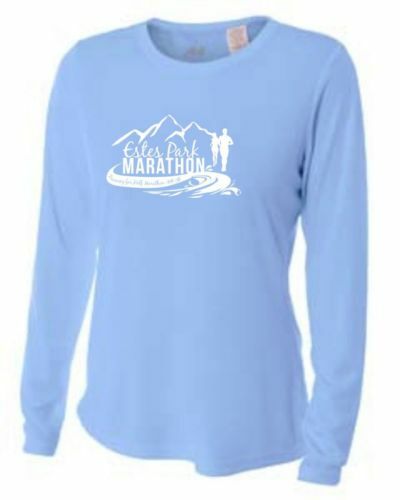 Packet Pick-up: is Saturday, 8:00am-5:00pm and Sunday, starting at 4:30am at the Estes Park High School commons. FINISHER CERTIFICATES– All marathon finishers will be emailed a finisher certificate after the race. AWARDS: Age Group Awards for the Marathon & Half-Marathon: 19 & under, 20–29, 30–39, 40–49, 50- 59, 60- 69, 70 -79, 80+. Overall Masters category- 40 years and older. AWARD PICK-UP: Marathon awards will be available to be picked up at the finish line award’s table. The awards table will be located on the field. There wont be an awards ceremony, but we congratulate our top finishers in advance! If you know that you will not pick up your award at the finish line, please let us know and pay $5 at registration for shipping/handling. Thank you! 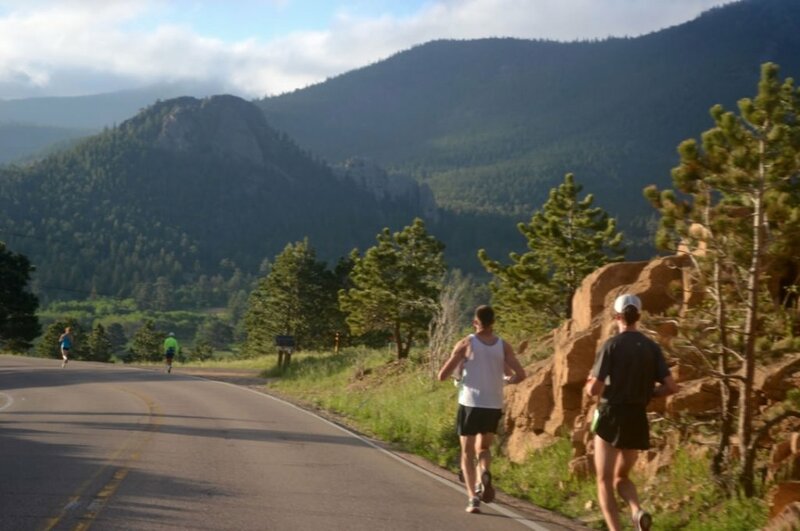 Route: The finish line is at the Estes Park Track & Field (elevation 7,550 feet). The route begins at the Dao House and enters Hwy 7 heading north. Runners will descent 3.7 miles and turn right onto Fish Creek Road. At Fish Creek Road, runners will enter Cheley Camp dirt road and pass thru the first full Aid Station. Route will continue to descend to Scott Ave. on the dirt trail, turning left and entering the Scott Pond Bike Path. 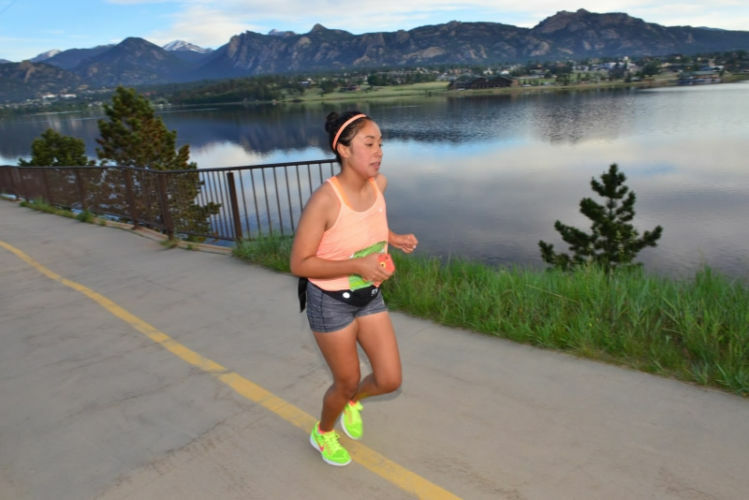 Runners will follow path, which eventually parallels CO Highway 7 northbound, to Avalon Drive. Runners will turn right onto Avalon and left down Acacia Ave to meet up with Fish Creek Road again. 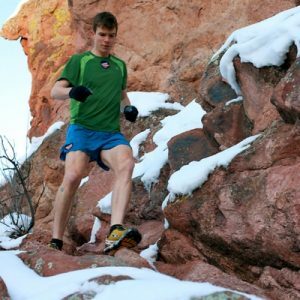 Runners will continue down to the Lake Estes Trail and one northern loop (counter-clockwise) along Dry Gulch Road and Devil’s Gulch Road. The finish line is at the Estes Park Track and Field. Terrain: Course is on road shoulders, dirt trail and paved multi-use paths. The course is marked with directional arrows on the roads & trails, as well as placed yellow directional signs. In critical spots there will also be course marshals. Use the buttons below to download a detailed map with all the aid and water stations. MARATHON START LINE: The Dao House, off of Highway 7. 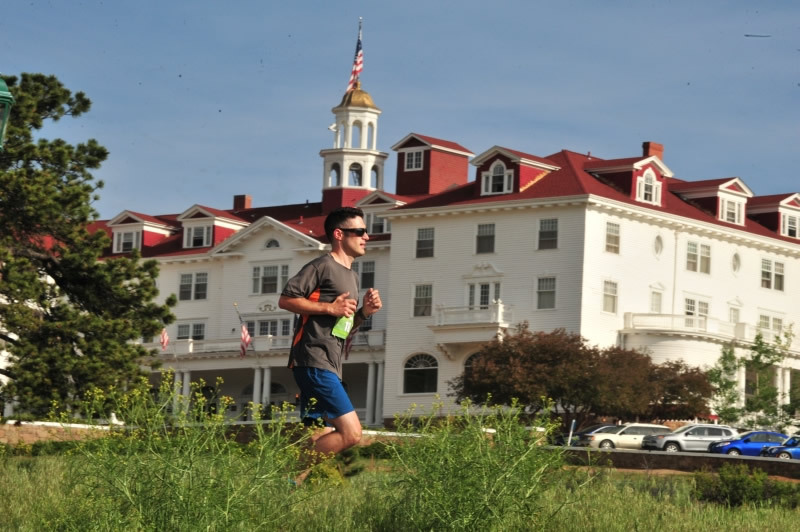 Transportation: Estes Park Trolley will deliver all marathon participants to the Dao House. Pick-up from the Estes Park High School is 4:30AM, 4:45AM and 5:00AM. There is NO transportation provided back to the start line, so do NOT leave your vehicle at the start location. All runners & walkers registered for the marathon, must take the Estes Park Trolley to the Dao House or have support drop you off. Gear Drop-Off: Runners are welcome to wait inside the Dao House main lodge before the start of the marathon and half marathon races. If runners prefer to leave any gear, plastic bags will be provided for runners to mark with their identification bib tag. Gear pick-up is provided at the finish line. 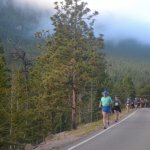 The Estes Park Marathon & Half Marathon and the Estes Park Running Club is not responsible for any lost materials or gear. 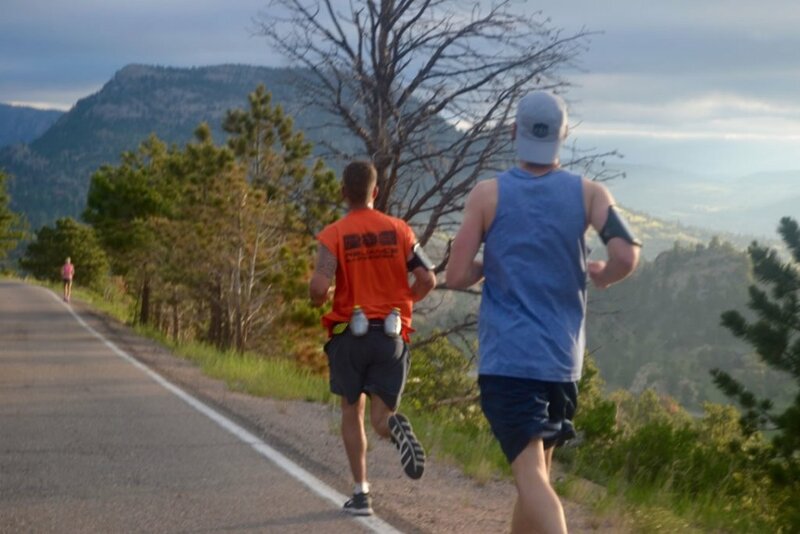 First Half: From the start line runners will enter northbound, scenic Colorado State Highway 7 and descend for 3.7 miles. Runners will turn right onto Fish Creek Road. At Fish Creek Road, runners will continue descending for an additional 3 miles to Scott Ave., turning left to access the Scott Ponds Trail (paved). For a little over a one mile, runners climb 14o ft to the Hwy 7 bike path. At Avalon Drive, runners leave the path and descend to Acacia Drive, which joins Fish Creek Road again. Runners turn left onto Fish Creek Road and continue to descend to Brodie Avenue. Turning left at Brodie Ave., Runner’s will enter the Lake Estes Trail multi-use path that winds thru Stanley Field to Lake Estes pedestrian tunnel. Once thru the tunnel (Lake Estes shoreline), turn left (clock-wise) around Lake Estes to the Highway 34 pedestrian tunnel (north east). 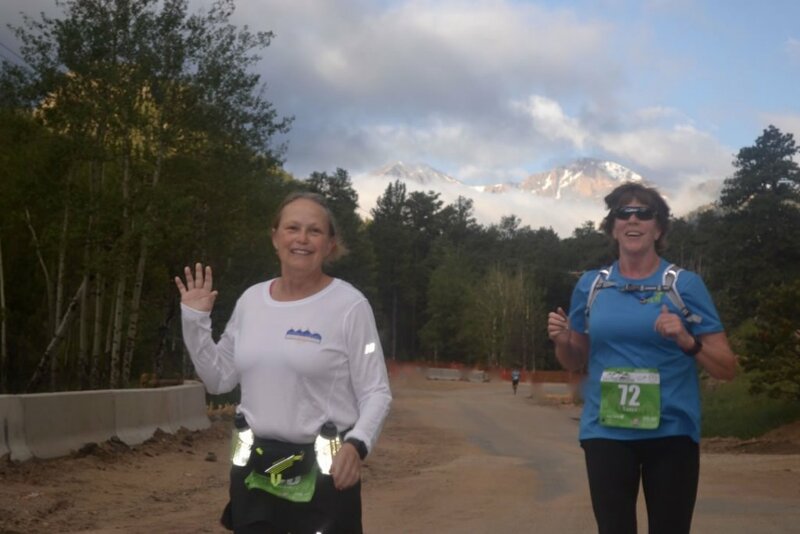 Second half of marathon: Leaving Lake Estes Trail, via north pedestrian tunnel, runners join the Dry Gulch multi-use trail/sidewalk heading north (Mile Marker 12.5 on the course). 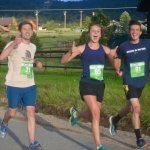 At close to mile 13.25, runners will turn left onto Ptarmigan Trail (Shephard of the Mountains Lutheran Church), and semi-circle back to Dry Gulch Rd. Turn left and continue to climb to top of Dry Gulch Road (close to 2 miles). At the aid station, turn left and continue to CR43 and descend on Devils’ Gulch Road. At MacGregor Avenue, and East Wonderview Avenue turn left up to the main entrance to the historic Stanley Hotel. Passing the Aspire Residential Center, runners will turn right onto Steamers Drive and down the hill to Highway 34. Runners will turn left onto wide shoulder heading east on Highway 34 to Elk Trail Court.Turn Left onto Elk Trail Court. From Elk Trail Court, the course winds through an open residential area that is mostly flat or downhill. 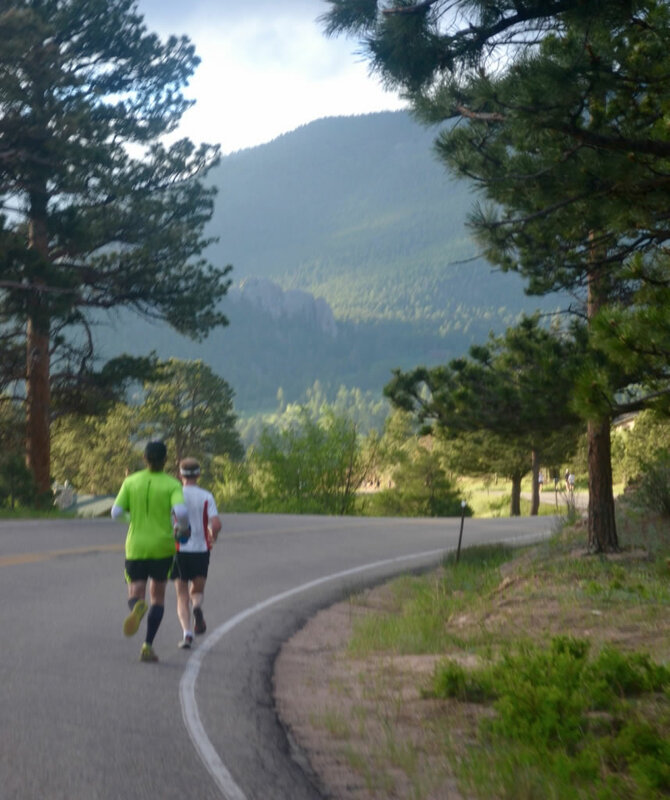 Runners will connect to Dry Gulch Road at Raven Ave, taking the multi-use trail back thru the Highway 34 pedestrian tunnel to Lake Estes Tunnel. Turn RIGHT after tunnel, following the Lake Estes Trail counter-clockwise to the southern pedestrian tunnel again and up to Brodie Ave entrance to the Estes Park High School track and Field. Complete less than one lap of the track counter clockwise and be greeted by enthusiastic crowds at the finish line! Course Marking: All our courses are recognized for being well marked – follow the Green markings on the paths and roads.